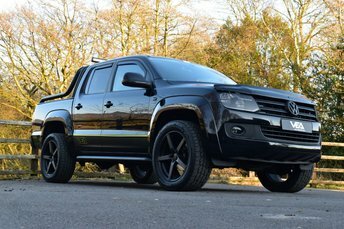 2016 66 VOLKSWAGEN VW AMAROK HIGHLINE AUTOMATIC 4MOTION PERM BLACK 2.0 BI TDI 180, STEALTH EDITION VEHICLE BY VEA AUTOMOTIVE! 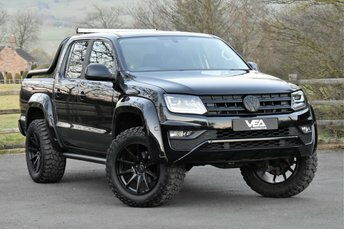 VEA Bespoke Volkswagen Amarok Highline Automatic 2.0 BI-TDI 4 Motion in Metallic Black. 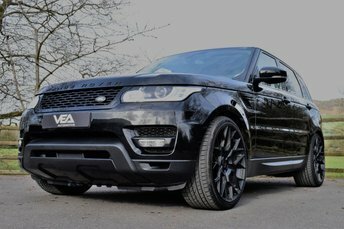 This vehicle has been transformed by us at VEA Automotive to an unrivalled specification. Finished in Metallic Black Paintwork this vehicle is the factory top spec Highline model with a Full Leather Interior, Factory Sat Nav, Multi-function Steering Wheel, heated seats, and parking sensors. 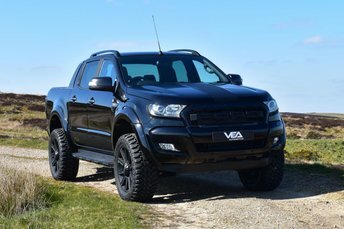 The bespoke conversion of this vehicle includes; Bespoke Satin Black Wheels with Continental Tyres, VEA Badges, VEA Complete Blackout Programme and Truckman Rear Canopy to keep all your belongings safe. A Completely Unique 2016 '66' plated vehicle. Boasting the bombproof VW 2.0 BI-TDI 180 BHP Engine with 8 Speed Automatic transmission; this offers both great performance and economy. This one owner vehicle has covered 75,000 miles with a comprehensive Volkswagen service history record. Ready to go for the new owner! Any questions or to arrange a viewing feel free to give us a call on: 01538 300765 With over 30 years in the motor industry we focus of attention of supplying the finest new and pre-loved distinguished automobiles. Our in house team of automotive enthusiasts have the ability to deliver a vehicle of your exacting specification; whether that be a bespoke interior, performance upgrade or even a custom paint job. Attention to detail is what sets us apart!